“And they’re taking it over bigly.” … “Obamacare kicks in in 2016, really bigly.” … “Mexico is ripping off the United States bigly and we have to do something about it.” Donald Trump likes that word bigly, but is it legit? According to Merriam Webster, it’s an adverb. 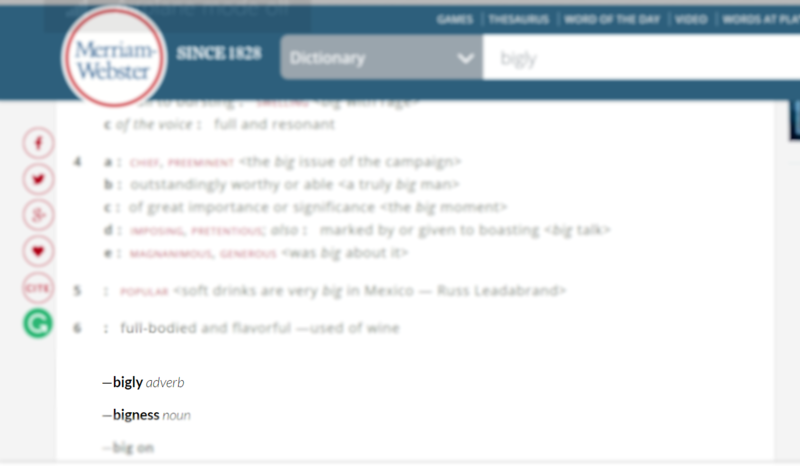 This entry was posted in Words, phrases & expressions and tagged bigly, is bigly a real word on August 9, 2018 by Louise.